I mentioned in my reviews of Bottle Rocket and Moonrise Kingdom that Wes Anderson has a very distinct style and vision with every film. Film goers should know going in what to expect from the universe he creates each time, yet know there will be surprises and gems along the way to revel in. 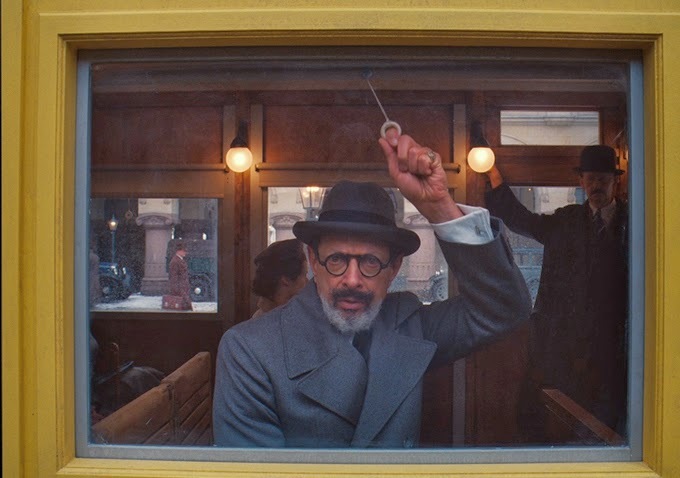 His latest film, The Grand Budapest Hotel, may just be his most ambitious story yet. 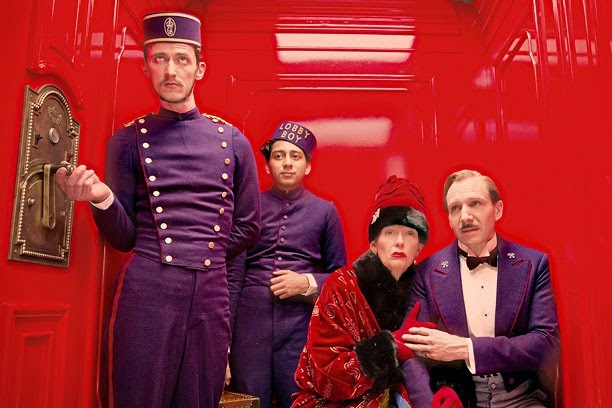 The story of The Grand Budapest Hotel and one of its concierges has inspired a book that has left a lasting impression on its readers throughout the decades since its release. It’s author (Wilkinson) looks back at where it all started. As a young writer (now played by Jude Law), he sat down with Zero Moustafa (Abraham) who still maintains the luxury hotel despite the fact it has seen its better days. The customers are few and far between, but he still lives in the same quaint room he once lived in when he was just a small lobby boy. The hotel rests in the fictional Republic of Zumbrowka somewhere in Central Europe. 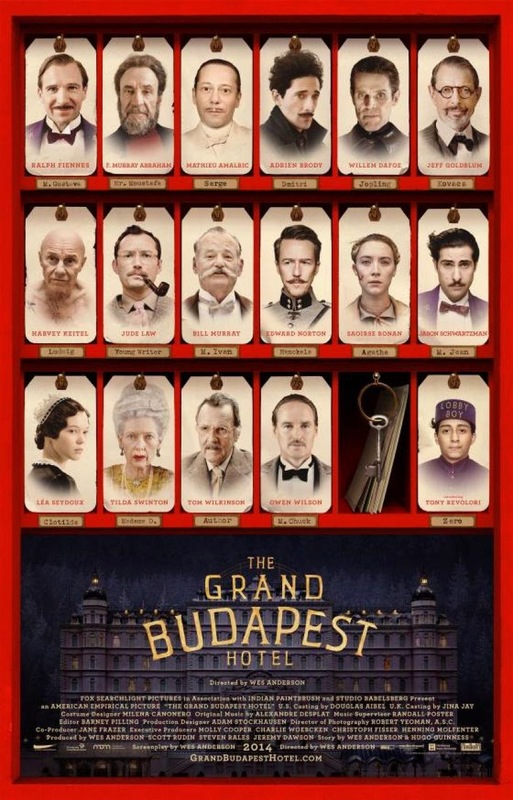 As a young lobby boy Moustafa (Revolori) worked under the guidance of M. Gustave H. (Fiennes), the concierge and life of The Grand Budapest Hotel. M. Gustave H. was a beloved man who ran the hotel with a distinct style and directness. He always had these special relationships with many of his female guests, one of them being the wealthy 84-year-old Madame D (Swinton). She is found dead of an apparent murder and the mystery of her death leaves everyone scrambling. As family and friends gather for the reading of her will, it is revealed that Gustave has been bequeathed her painting “Boy with Apple” which sets off a fury of anger at the hands of her son Dmitri (Brody). He accuses Gustave of her murder in order to get that painting. 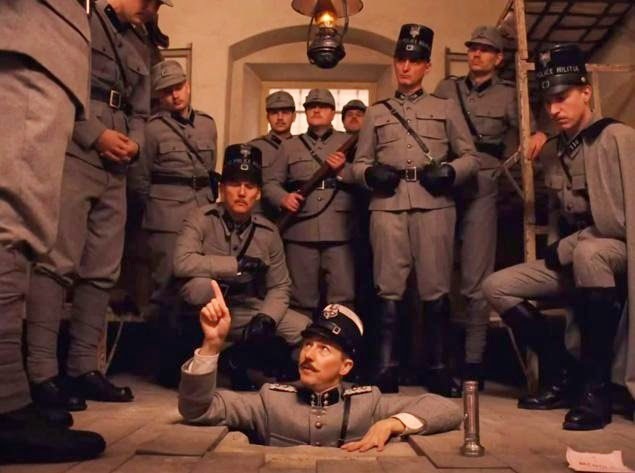 Gustave and Zero are able to escape with the painting without the family knowing. It is not long before Gustave is put in jail for the murder of Madame D. Zero uses the help of local baker Agatha (Ronan) to help Gustave escape from prison. Where do I even begin when it comes to a movie that is so full of delicious morsels and layers to feast upon? One of the things I love about Anderson as a writer is that he always comes up with these wildly imaginative characters. As an actor, I would relish in playing any role he has written. It is quite apparent that actors love to work with him as he has a repertory of actors that are always willing to come out and play. No matter how big or small the part happens to be, these actors put their egos aside (ahem, Edward Norton) and give it their all. Whether they carry the movie like Ralph Fiennes or have a couple of scenes like Owen Wilson or Jason Schwartzman, it is quite apparent that Anderson cares about his actors and that his characters are vital aspects to every one of his movies. The make-up and costume designers must have a field day knowing they have this wild palette to incorporate their touches to make each individual stand out from the next. Here’s hoping they receive some recognition from the Academy next year. If your local movie theater pays attention to the instructions it received, you will notice that the film will be shown in three different aspect ratios according to the various timelines that the story covers. All three ratios are within the 1.85:1 ratio. Anderson and his longtime cinematographer Robert D. Yeoman have specifically shot the film with these framing ratios in the mind. You will notice that the during the 1930s segment, the picture is in a square shaped framing ratio. Many films of the time period like The Wizard of Oz were shown in this ratio. This idea and the cinematography with it adds some interesting dimensions you don’t always find in movies these days. What I love about the Anderson and Yeoman collaboration is that you could look at any frame from this movie and there is a story within itself. 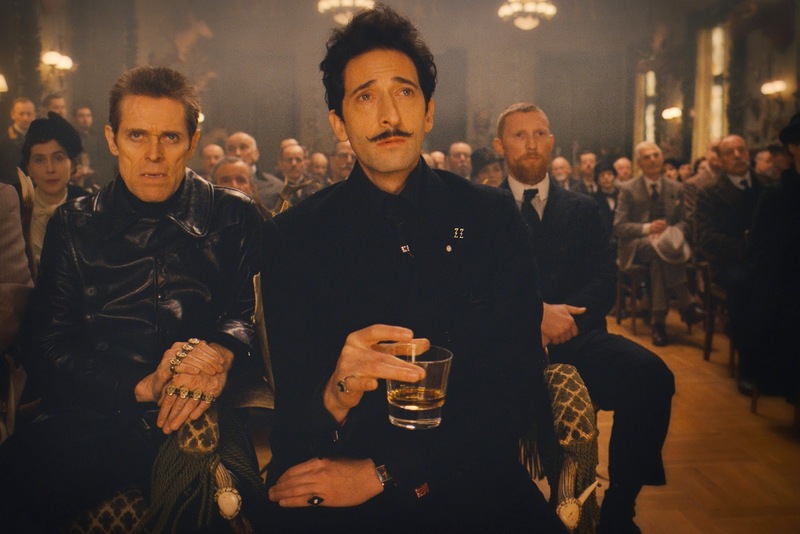 The Grand Budapest Hotel covers all sorts of genres of storytelling, and Anderson captures each one of them with just the right touch that is needed. Sometimes comedies that cross genres feel a bit off. Tropic Thunder tried that, but I thought it was pretty unsuccessful. This zany madcap fun ride is a mix of comedy, adventure/action, murder mystery, and a little love story. It’s hard not to think about certain films of the past like The Shining with its orange color palette and historic hotel feel. It really makes me miss these types of hotels that have beautiful architecture, character, and stories within its walls. I have stayed at many old hotels in Europe over the years, and the big hotel chains just don’t have the same sort of character. The ensemble comedic caper aspect of the film brings me back to Clue and Murder by Death. The moment where Zero and Gustave are zipping through the snowy mountains reminded me of some of James Bond’s adventures. It is evident that Anderson has been inspired by the caper films of the past. Anderson’s rich script is wordy and witty with so much juicy text and wordplay it will take a couple of viewings to take it all in. 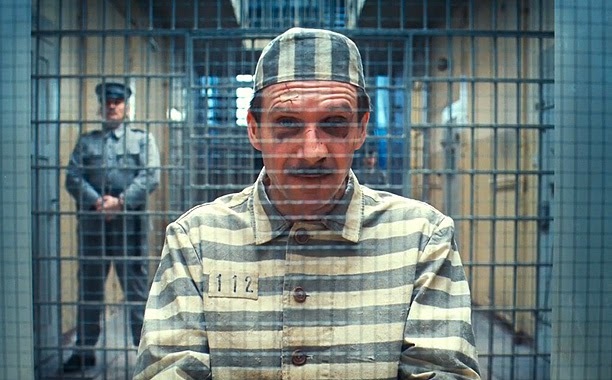 His cast, led by the incomparable Ralph Fiennes, have taken on these characters that are far different than their usual fare. Fiennes may just have one of the best characters Anderson has ever created. Tilda Swinton is another scene-stealer despite her limited time on screen. I cannot wait to see it again as there is so much to pick up and study upon each viewing. Is it worth your trip to the movies? YES. 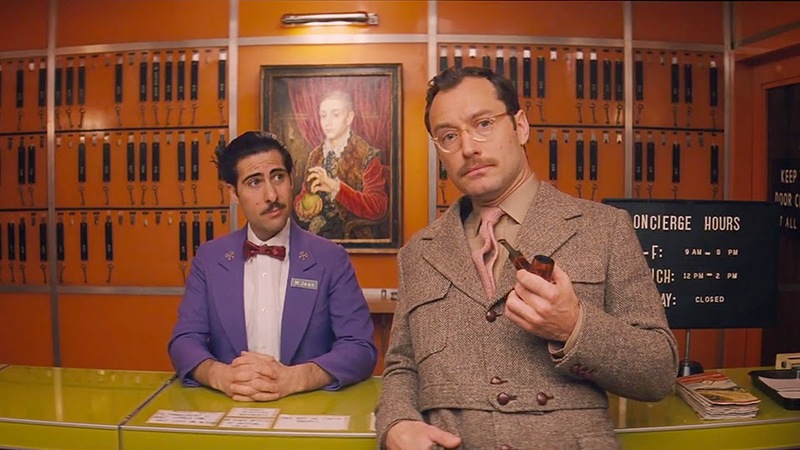 Wes Anderson is ALWAYS worth a trip to the movies in my book.